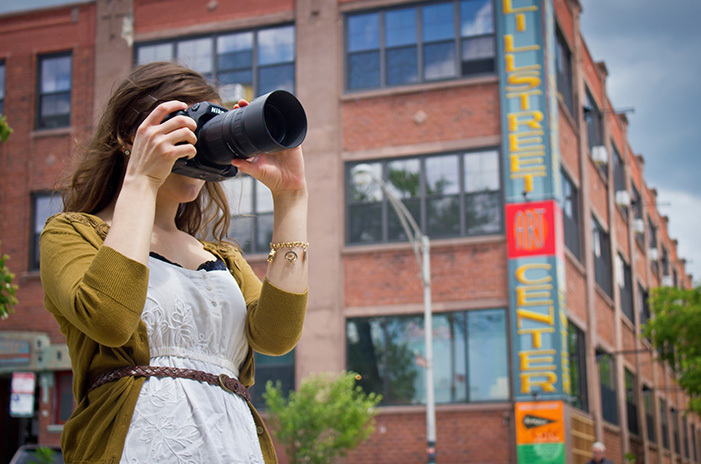 Lillstreet’s Photography program offers artist-taught classes that cover topics from basic technical introduction to advanced creative projects. We engage in conversations surrounding contemporary digital media and facilitate students’ critical thinking skills when it comes to reading the image. Equipped with Adobe software, Epson printers, and a large lighting studio, we’re here to help you master the tools and concepts necessary to create meaningful images that stand out in a culture in which everyone has access to a camera.